If you are an old customer of bow-hunting stuff, then you must be familiar with the name Barnett Archery. This company has produced many quality products that have fully satisfied the hunters. Today, we are going to talk about this company’s crossbow package. The model which we are going to show you today has most of the features a modern-day crossbow set should have. Nowadays, we usually expect a crossbow to have a firm gripping feature. This product has a good gripping system. The product is very much strong too. Along with these, you will have several features like durability, accuracy in shooting, good structure, and many more. We have done several kinds of research on this product. After that, we found this product as a well-performing one. So, we decided to have a discussion on this product and let you know about this product. Here is the detailed information below. You will get almost everything with this crossbow. You will get a full package that you can carry for hunting or archery purpose. This set contains a crossbow, three bolts, three field tips, red dot sight, quiver, rope cocking device, and string wax. These are everything you need to have a great time target practicing. You will also get an instruction or manual book. This book will help you to use the set. You can assemble the product easily after reading this. It will also tell you how to maintain and take care of the product. The crossbow is not heavy at all. You find yourself comfortable using this. The most amazing part of this product is anybody can use this product. Men, women even children can hold this product nicely. Nobody needs to have the knowledge to hold this bow. You can practice target for a long period of time using this product. Your hands won’t feel any kinds of pain or fatigue by holding this product for a long time. You can also carry this product easily. You won’t feel you are carrying something heavy along with your other stuff. This product is a good performer in this matter. As a matter of fact, this product is very effective than other gigantic crossbows. This product shoots over 300 fps. Expecting such speed from a bow weights light is quite a foolishness. But still, this product is capable of producing this much speed for many years. So, you will have a lot of fun throwing arrows using this little monster. The main reason behind this feature is the structure. It surely amazing that a bow with very short width is capable of producing such high speed. The dimension of the product is 10.5×32.5×7 inches. This dimension is pretty much handy and compact. You can carry this bow easily hanging it with your backpack. The accuracy of this crossbow is outstanding. You can shoot your target perfectly even from more than 40 yards distance. The red dot sight helps you to aim your target perfectly. So, whatever the purpose of buying this product is, you can have perfect shots even from a big distance. 130 lbs is the draw weight of this product. Eligible for all type of users. Buttstock of the crossbow is adjustable. The red dot sight is helpful when you expect to have accurate shots. Light weighted. Shipping weight is only 10 pounds. The string quality is average. If you don’t assemble it nicely, then it might break after a few shots. Purchasing this product will never let you feel regret. This crossbow set has everything you need. 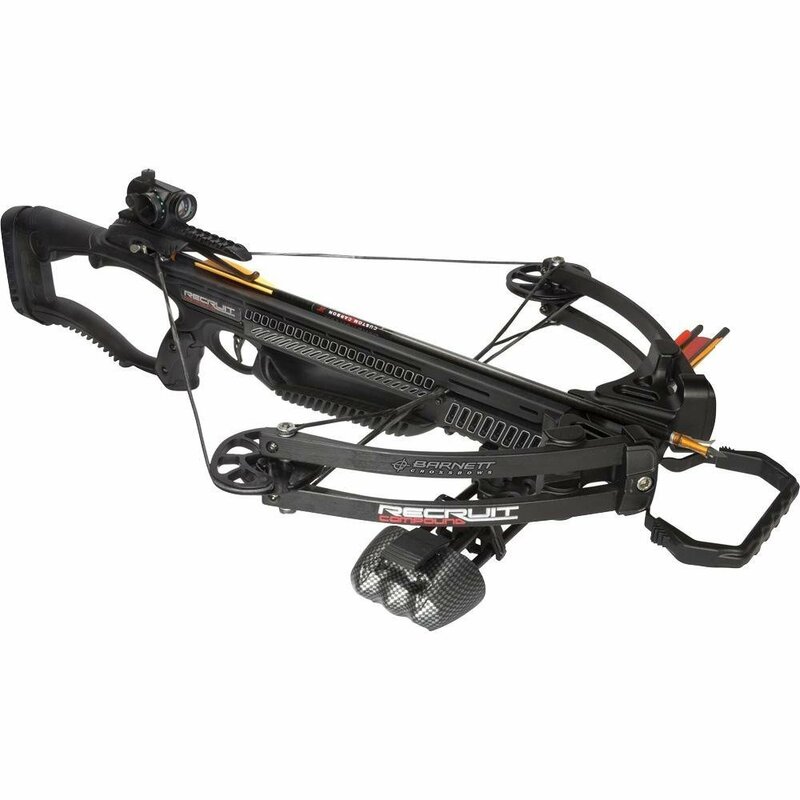 The most attractive point of this crossbow is you can use this product for several purposes. Not just you, any child also can use this product for target practicing. If you assemble this product nicely, you can surely enjoy shooting. The combination of your skill and this product’s features will definitely produce a perfect shooting of arrows. Ridge Skateboards 27 Inch Cruiser Board Review So you are a fun loving and adventurous person.